Can Bitcoin Overtake The World Currencies And Change World Economies? Don’t dare to say that I know enough about Bitcoin, but it seems to me that this digital currency is on the rise. TheVerge ‘Bitcoin exchange gains clearance to operate as a real bank in France‘ article reported that Bitcoin digital currency platform has just now gained a foothold in France. This means, Bitcoin-Central, a Bitcoin exchange, will be able to operate as a real bank in France. Will this mean more similar banking services derive from Bitcoin digital currency platform in France? I clearly don’t know since the whole Bitcoin digital currency is still so new to me and probably to the majority of the people of the world. Anyhow, it seems though France is going to go ahead and let Bitcoin rises, becoming a more reputable mean of transactions within France. Of course, if you never heard about Bitcoin before, you probably are scratching your head right now. For me, I have heard about Bitcoin, and I’m still scratching my head. Bitcoin isn’t so easy to understand as how cash would be. Cash has been around for as long as I know it. Anyhow, Bitcoin isn’t cash, therefore people have a hard time to compare it to cash. Bitcoin is so new, therefore people don’t really understand it. Nonetheless, people do understand credit and credit card. Nonetheless, credit and credit card don’t behave like cash after the credit had spent in a transaction, but Bitcoin does (I think). How is this? When credit has already being spent, the creditor wants the debtor to pay back the spent credit somehow; when the cash has already being spent, no creditor is expecting any compensation unless the debtor actually tied his or her credit with cash somehow and then spent such cash for whatever needs. To the best of my knowledge, Bitcoin behaves like cash since no creditor is expecting a compensation unless there is a Bitcoin lending service that actually lends out Bitcoin (also known as BTC) as credit. Then again, one can easily somehow acquire BTC with real cash and then crazily went into debt through credit. So, in a sense BTC can be included in a chain of transactions with mixed types of currencies. The question is, will people trust BTC enough to start spending like those other types of currencies (e.g., cash, credit, etc…). Let not get into what is real currency, because I think all sorts of people will have different definitions for what to be real currency. Is it back by gold? Is it back by the government? Is it back by what? It gets crazy really. In this very blog post and for the sake of simplicity, I like to refer currency as anything that can be spent to acquire something else and to complete a transaction in a meaningful way. Meaningful way I said? Yes, because such transactions have to be legal in the eyes of the mass (i.e., people). Digital age makes Bitcoin possible, I think! With digital age, Bitcoin can deliver its complex algorithm to encrypt and decrypt its BTC units. Don’t ask me the technical side of this as I’m scratching my head just to think about it. Anyhow, Bitcoin allows the owners of BTC to transact Bitcoin digitally and anonymously. I sure don’t know how anonymous this would be though, because I’m still trying to figure out how Bitcoin actually works in practice. I have not yet ever tried to use Bitcoin in practice, therefore I’m just amused as you are on Bitcoin (i.e., if you haven’t yet being familiarized with how Bitcoin works in practice). On reading about Bitcoin though, I think the anonymity of Bitcoin derives from how Bitcoin is being a decentralized digital currency platform. OK, to explain this in layman term (I might be off by a mile in explanation though), a BTC transaction would occur between the payer and the receiver and that’s it. So, in a sense the anonymity is all about there isn’t a centralized bank to be able to track down a Bitcoin transaction. Isn’t cash also operating similarly to this, to allow some anonymity between the payer and receiver? If you pay someone with some cash for a transaction that nobody knows about, nobody would care right? I guess we can safely say that all banks will simply ignore what you will do with the cash you own, but the banks will try to track down the stolen cash from their vaults though. You get this right? So, in a way Bitcoin is allowing this sort of anonymity to BTC owners. Besides being a BTC owner, a BTC owner can actually mine for more BTCs. How? I’m still very unclear about this myself to be honest, but let me take a jab at this anyway. Basically, I think BTC owner can execute Bitcoin command lines to command Bitcoin software to act as a server service on a computer and then mine for BTC units. Please correct me if I’m wrong on this, I think Bitcoin software I’m talking about is the official one that is on the official Bitcoin website and this very software is also responsible for allowing Bitcoin owners to generate a Bitcoin wallet. Bitcoin wallet? It’s like a digital wallet where you can tuck your BTC units away just so you can use these BTC units digitally in a transaction (most likely a digital transaction too). Nonetheless, I guess that you might be able to use Bitcoin physically in some places in France if Bitcoin-Central (Bitcoin exchange) succeeds in providing banking services through Bitcoin digital currency platform. My apology of being digressed, let me get back to how Bitcoin owners can mine for more BTC units. Basically, BTC units can be minted as long Bitcoin owners are willing to spend money on setting up powerful computers (e.g., servers, server networks, etc…) to mine for more BTC units. To know more about the technical side of how each BTC unit is actually being minted, I think you have to look this up on the Internet since I don’t have a good explanation for this complex process. Nonetheless, it boils down to the setup of hardware (i.e., computer with the ability to utilize strong processing powers of graphic cards and CPUs) and software, the computer resources, the energy that needs to be spent (i.e., electricity), and so on to get a Bitcoin mining operation going. Obviously, acquiring BTCs through other means and not through mining for BTCs — it is all about providing services and products and then demanding BTCs as the currency of exchange/transaction. In conclusion, I sense that if more countries follow France to approve and allow Bitcoin exchanges to behave as banks, then Bitcoin might upset how the world is using its currencies. This scenario is possible, because Bitcoin isn’t exactly a specific currency in which a specific government has controlled over yet. In a sense, Bitcoin is behaving like cash, but this new cash has embodied some of the Internet characteristics. You can say, at this stage there isn’t yet a single government which can claim ownership over the entire Internet. 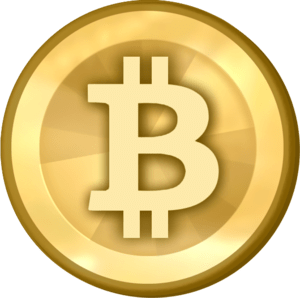 For better or worse, different people value Bitcoin differently, therefore Bitcoin isn’t so easily to be controlled unless all governments of the world begin to crackdown on Bitcoin usages. I guess people who reside in France don’t have to worry about this much since Bitcoin is gaining popularity in France; if not it’s at least gaining popularity with the French government. For the people who think Bitcoin can’t do a thing to upset the world currencies and how people will perform transactions across the world, I beg them to not underestimate Bitcoin popularity. Just think about how the Internet has evolved, and we can somewhat make a deduction about the possibilities of Bitcoin in term of making a foothold in world currencies. The Internet had a humbled beginning, but not for long before the Internet transformed how people shopped, read, wrote, thought, studied, communicated, banked, voted, and so much more in the late 20th century. Obviously, the Internet is still transforming how people do things in the 21st century. Although the Internet was new back then and was plagued with security issues, nothing had stopped the the Internet from taking over the world. So, when I look at Bitcoin closer, I feel as if Bitcoin is behaving similarly to the Internet. Since I’m not an economist, I can’t be sure that I know if this is a good thing or bad thing for the world economies, but I can feel that Bitcoin isn’t going away soon. Even if Bitcoin loses steam in the future, I think Bitcoin has already paved a road in which the future generations might use Bitcoin as one of the futuristic currency scaffolds to discuss and reform their currencies. What do you think? Suspicious Email Messages From Banks? Today I receive an email from a bank that I currently have an association with. What association? I’m their customer, of course. Anyhow, the email looks so suspicious! First of all, only my first name is being addressed in the email. Second of all, the bank relies on third party email address and domain name, and to catch this I’ve to hover my mouse over the link which labels with the name and services of my bank. A quick research online has confirmed me that the third party is a legit party which was hacked by hackers around April. I assume this is a spear phishing scheme. I rather not click on any link in the email so I can be safe than sorry. It’s always good for me to check the official information in the bank’s official website and account. This is why I think people should be ever more careful with sensitive emails such as the ones from the banks! 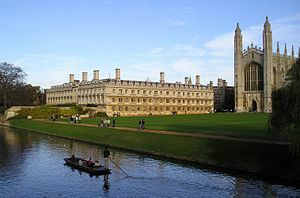 UK banking trade association was shot down by a university; Cambridge University refused to comply with the bank in censoring a student. The story goes a student at Cambridge University had written a thesis on chip-and-PIN vulnerabilities, placed it online, and the bank sent the university a letter in hope the university would censor the student’s thesis. The university was offended and had written back with an amazing argument which pretty much said it all — shame on you big corporation! To read this letter, just take a dash over to Boingboing.